Help your service desk agents and IT managers proactively manage service quality. 200+ out-of-the-box reports displayed on dashboards give you instant visibility and easy to customize reports. Work for Micro Focus Service Management Automation (SMAX)? Learning about Micro Focus Service Management Automation (SMAX)? "Nice product for ticketing if have good tuning." Fast restarting if service broken. Nice interface for end users and good interface for developers. SM have deep opportunity for tunings, better if have company administrator of SM with at least 3 SM courses x 5day at HP education center (basic, administration, developer). If SM service broken, it cant automatically report about that problem. And sometimes SM cant restart its own process. Also SM must have deep tunings according to business process, and out of the box version not work properly. However that situation helps integrators for take money from implementation. For example +40 java scripts, +4 web interfaces, + 10 paper processes, +3 integration will take about one year/1 person or half year/3 persons, if that peoples already have experience and already have finished scripts, so that time need to construct processes, some adaptation and test the solution. If do work just after completing courses then it takes much more time, for example, 3-5 years. Find a good integrator company with good project team and nice programmers, company that already done successfully some big projects, and you want nearly the same that they done in the project. And that will be the fastest way for using SM. Developing from zero, hours waiting respond from support, testing tons of script code will take much more money, even you will have experience from using product. So believe in experienced peoples, better if they organized in company. Less time for solving IT problems. Colleagues and managers says that Service Manager helps to speed up common tasks also. I can clearly view what happen with my ticket, view priority, time, person who take ticket, all contact information - telephones and emails, organization information. And I have fast response and opportunity to use SM from any device with browser. "HPE service Manager Advantages and Features "
Here there is lot of customizing options are there here almost you can customize everything as per you requirement and company policy.It is having high integration and deployment capacity. It is also providing out of the box email ticket creation which is very good feature.stability is good as you can configure all the things according to the load that you are managing.It is very flexible as we can easily integrate this with many third party application to get more functionality.Call logging and escalation feature is best advantage of it to keep a track of everything.The reporting feature is very valuable as you can generate complete report as per our requirement so can can get a clear idea.From pricing prospective it is also convenience and it provides very good customer support for each and every problem. Some times it will creates some issue with deployment.They can improve web support of custom application and upgrades.user interface is not so good they can make it more user friendly.The pricing of third party application is bit high so they can add some new feature to make it more efficient and convenience. i will strongly recommend this because it is very easy to use and it give complete managing solution.Lot of functionality and plugins are there which make Managing task and tracking its status very easy.From pricing prospective also is it convenience. we are using HPE service Manager mostly for help desk and service management process.It is also used to create automatic email ticket creation and tracking the status of issue and its process. "Good product that evolves quickly! " There is almost always a way to do some sort of challenge you are presented with. I don't think we have had something that we cant do yet in service manager. Sometimes the upgrades can be lengthy depending on how much custom code is added. It would be good to know what is required in an upgrade before you start making custom changes to code etc. Spend time working out what you really want, Dont try and make a replica of your current system! The main problem we have come up against is we spent far too much time and effort trying to replicate openview into HP service manager rather than look at the solution with a fresh set of eyes. Approval for software/hardware requests have been so much easier, the onus Is back on the business to make sure they approve requests rather than IT chasing people for approval. This allows us to be able to spend more time doing the tasks we need to do rather than chasing approvals. "A featured but aged software"
Vast variety of available processes although I have not used many of them. Many bugs noticed, not sure if it's because of the customizations done by the vendor but the Change Management process stuck at stages for unknown reasons and the help desk team has to click on each request to activate. Upon session expiry, when you logs-in back the system doesn't take you back to the page you were at. When it comes to software, I wouldn't recommend opting HP. Better go for lighter and more intuitive alternatives, especially if you have software change management lifecycle to be managed from Change Request to the deployment. "Service manager 9.33 with mixed webtier & rte"
HP Service Manager is a mature tool for all processes. That tool manages a very important volume of exchanges and records between stakeholders of the IT. It is aligned with the requirements of an important Service Management activity. Once well tuned, it is very robust. The fact that we can adapt and modify almost everything in the process and forms is a real advantage. We developed a sort CMDB inside SM9 which makes the tool very powerful but limits us in the evolutions. Most of the dislikes following are part of our experience with the use we made of the tool and can be not relevant for a company using Service Manager correctly. As said, we modified a lot the tool. We are using sm 9.33 version for the rte, sm9.31 for the webtier. Today we have so much tuned it for our need (without listening HPE alerts), that Support meets real difficulties to help us. A such powerful tool should be able to find and give a good solution quickly when an issue occurs. We have followed the trainings but we are missing experience to be able to manage the tool all by ourselves. for example I’ve been facing troubles with webservices (not easy enough to modify/adapt/limit and for me quite a black box). To avoid tests, we mixed versions of technical parts and now we have difficulties to know which version of each part is on (hotfix version, webtier version, rte version....). That technical part is quite hard to follow for us. If you go to Service Manager, you will enjoy but if it's your first Service Managment tool, please consider having good support and training. The main advantage we realized was to use one tool to support all these Processes. We are building a real knowledge base which is already giving us possibility to autoSolve new issues. Lot of money and time to win. "HP Service Manager 9.33 - SOCIETE GENERALE"
HP Service Manager is a mature tool for all processes. That tool manages a very important volume of exchanges and records between stakholders of the IT. It is aligned with the requirements of an important Service Management activity. The Integration with other ITSM tools is not yet easy. But we are testing PROPEL SX in our lab to resolve this point. It is necessary to consider the last versions of HP Service Manager, wtih codless integration. Pros: Its a great tool with excellent features such as process designer and smart analytics. Process designer of HPE SM is really a top-notch and no other ITSM tools process designer is near to it. Cons: I personally feel there is a lack of right investment on this great product. Based on the market trends HPE lacking behind in unifying the power of their other product capabilities like orchestration, discovery and asset management. "SOPRA STERIA - STARS : ITSM implementing HP Service Manager 9.34"
- Quality of the delivery, reducing time to migrate (we're now using HP SM 9.34 on production) and testing 9.40 in our lab. "Service Manager 9.31 flexible and highly configurable"
Flexibility was a must for our ticket workflows and with a great support partner we were able to make extensive customization. A single app for managing Interactions, Incidents, Problems, Knowledge and Changes. Difficult to upgrade after all of our customization. get a quality support partner and attempt to stay OOB where possible. We needed a global system that was accessible by Technicians within and outside the network. A change process that would assist with collision detection globally. We were able to tailor the change module to handle Problems, which allowed us a glimpse into being more proactive. "It Is A Stable Product, Scalable, Good Support, Right Solutions, Easy To Setup"
HPE has a hosted solution and people think ServiceNow is the be all. I Like The Flexibility And The Integrity Of The Product. It's a completely customizable solution to fit with the specific needs of our organization. It does it really easily and really dependably. "The most complete and flexible solution for service management"
HP Service management is a complete and mature tool, easy to tailor and to fit to any of your companies processes. It works perfectly for IT service management and is flexible enough to support our business helpdesks as well. We've been using for many years, with almost no downtime. Last year we migrated without major issues directly from ServiceCenter version 6 to HP Service Manager version 9.33. All our data is migrated, our screens and workflows without any redesign or huge programming. Our users like the new version a lot and switching from the old production to the new took us less than 1 hour downtime. No user training required. Using web services we transfer and receive data from different systems and software's. For reporting we use Business Objects. When you do a migration or a new installation it is wise to have a HP technical account manager for extra support. He will help you to solve any issues that will happen immediately. We support the majority of out IT processes with the tool: Incident, problem, change and request management. One of the more difficult issues we had to solve was to transfer tickets from our system to the BMC remedy solution used by our colleagues in France. Using web services solved this issue. On of the major benefits we realized was to use this same software to support our business helpdesk. The same code and software is used to support IT, Facilities, HR, Complaints, Client support and others. "Pleased with 9.21 and currently upgrading to 9.4"
HP Service Manager is a very tool-rich software suite which is easy to use and highly configurable. Due to our heavy customizations we had initial upgrade concerns when moving from 9.21 to 9.4 but after an analysis from the HP technical services team, it was determined that it would be a rather seemless upgrade in place procedure. Furthermore, it is apparent that the development team is listening to its users and including their feedback in further enhancements. For example, the Incident model was unable to spawn individual tasks in previous versions but that is now a built in feature to the latest module. In the current version we are using, customizations are very cumbersome and can have multiple dependencies on many forms. The new version seems to have addressed some of these issues, and will have to reserve judgement until having time to test adequately. Also, previous reporting capabilities were virtually non existant and we had to export much of our data to another reporting suite. This looks to have been addressed in the latest verison. Finally, version 9.21 was not robust enough in its original configuration to handle our regularly scheduled Release Management through the Change Management module. The only reason I would hesitate to recommend HP Service Manager to other companies is that it may be too much for a smaller operation. The suite is incredibly detailed with incredible levels of detail and may be overkill for a smaller operation. In a case like that, I would be more inclined to recommend Service Anywhere or something similar. HP Service Manager allows us to track and monitor all of our IT systems from an ITIL framework perspective. It allows us to capture a wealth of data in each ticket created to allow for a thorough audit trail, and subsequently create a resourceful knowledge base. "Extremelly customizable while maintaining upgradability"
The speed and effeciency with which we can deliver scalable and professional solutions to meet our clients' needs. Their support team is knowledgeable and efficient. They prioritize the systems evolution in what, for me, seems like a logical and fair fashion. Very little actually. They are responsive and engaged with our client. Maybe to only thing would be the overseas support: it is not always easy to be understood (language wise). It is a lot of work to put in, but as with any system of this size, the better the planning, the better the growth and usage of the software. Make sure to hire the right people to assist your organization in setting up. Stay involved in the process. We have put in place a ticketing system and and inventory managenent system for a POS (point of sales) of over 60,000 external clients and over 150,000 devices. basically, all that is required to run a business efficiently. "I have a great experience working on HPSM for my company solving a lot of operational challenges"
interactive dashboards and OOB reports are also a plus. the new support catalgue is a good idea and can lower the load on service desk for known support cases. branding and color indication settings are now easy to do without xml coding. availing mass update and mass close function to end users should be available OOB without breaching the security roles assigned to the users. there is no supported solution for SMS notifications after the depreciation of SCauto. "A good product suddenly became great"
Complete overview, all tasks/processes in one tool. Integration with IDOL gives BigData power where we need it to be: A part of our workflow. Version 9.34 with Smart Analytics improves ticket registration/ticket quality at Service Desk and combined with Hot Topics (Problem Management) this is a major step in the right direction. Still fairly complicated to configure/upgrade (SM 9.34) but HP has improved this with version 9.40 and throug ITSM Deployment Manager. Others considering HP Service Manager should really look into Smart Analytics. This BigData module gives value directly into workflow for Service Desk and Incident/Problem Management. We use HP Service Manager manage services delivered to hospitals in the central Norwegian region. Combined with Service Request Catalog (end user portal), SM gives us a great tool for the job. "SM use in an international company: a benefit to unify the process"
Full ITSM tool integrated, with total covererage. After proper system configuration (thanks to effective HP support), the application is stable and robust. Response times are correct. If problems occur, restarting the system is simple and fast. The SDIM module is widely used with satisfaction, with special mention for the E-call. In our version, the "Change management" module benefits from the designer process (thankfully because it is not at all OOB). Ergonomics is rather unintuitive sometimes confuse the user with simple actions. The structure of the database is a pity (not relational in 9.33 version, presence of CLOB and BLOB formats, application code stored in database). For end users, the PM module / KE is complex and difficult to understand. OOB stay as much as possible because the code changes are not simple; but the designer process will improve things. This tool is powerful but requires resources (human and financial) important to good use: probably not suited to small structures. Service Manager is a highly unifying tool that we strongly contributed to the unification of our processes. Our company has international components of different cultures and the adoption of a multi language software edited by a globally recognized partner was easy. Service Manager provides a rich feature set for all Service Management processes. This is not really differentiating from other tooling but creates a foundation that in combination with other HP tooling, or other vendors aligned with IT4IT. -	Easily manage monitoring events and escalation of these events. -	Calculate SLA impact per client for a product manager. The Service Manager were using still lacks some functionalities we would like. For example smart ticketing and hot spot analysis. This also reflects why the title contains the word opportunities. The newer versions of Service Manager show great promise not only in additional features were looking for, but also the focus on new technology like HTML 5. However, on technical level I don’t expect that he configuration work we did on 9.30 will be easier in 9.40 or later versions. Configuration for example is required when attributes are changed, or new CI types need to be pushed. This required changes on forms, databases, scripts and other items in Service Manager. This can be seen as a good or bad thing, depending if you want to go with an OOTB approach or customize to fit. These points I mentioned because ITIL isn’t something that is always deployed the same within different companies. So extensive configuration (or customization) is required to tailor Service Manager to match the company process and application landscape. Make an extensive roadmap which focusses on the processes and integration of information. Service Management tooling alone will only create limited value. When integrating test management, monitoring, project management and other processes the real value is created. Besides the roadmap really focus on the way of working and the people. They need to be educated, steered and corrected to ensure data quality and value. Our goal was to increase the quality of our Service Management processes. This was realized not only by the tool, but also by emphasis on the way of working. The way of working is the most important factor to change. -	Redesign of our processes on paper and in the tool. We did benefit from the process designer which was implemented with the help of HP on our current version of Service Manager. -	The service topology approach by HP in combination with the universal data model of the uCMDB provided great benefit. This is still growing due to the implementation of our monitoring tooling at the moment. This tooling will use the service topology to calculate the impact from infrastructure components to the business processes and activities we perform for our customers. -	One way of working was introduced in our company. Because of mergers in the past and recent history the tooling and way of working differentiated between the locations. This was partly solved by Service Manager which created one source for the Service Management processes. The way of working is still something we keep improving, based on what we see in Service Manager. "HP BTO software consultant since 2003"
"A good tool to provide ITSM"
I like the way that you can easily move from one module to another by being able to open a problem directly from incident etc. That makes it easier to use. I also like the fact that the tool can be connected easily with other HP products like HPOO for example which enables us to provide services faster. I'm not very fond of KM - the configuration is pretty complicated and the search not always accurate. Make sure to think your processes through before you apply them. HPSM is an extended tool and the configuration may influence other modules and the way the other teams work. It is highly recommend to have roles like process owners who have the thorough knowledge of both ITIL and the tool so they can help implement the service that will satisfy your customers. I work on new services deployment for the customers so I work with almost all the modules at the same time. I especially like the connection with the service catalogue that provides easy access to the requests and incidents for the customer. This way they get an easy overview of the state of their case without a need to contact the helpdesk. "I am an solution architect for HP SM implementations." With HP SM 940s' new Process Designer, managing processes have become much more easy to maintain and configure. Turn around times on deploying new processes have decreased significantly. Also the new interface is easier on the eye than previous versions. The reporting module can be enhanced, and made easier for end users to build their own reports. Also the addition of more graph types would aid users in their reporting. Ensuring correct and accurate master data, and bed down process before implementation to ensure that the tool does not drive what process needs to be implemented, albeit that HP SM provides nice out of box processes. Aiding firstly IT in coming closer to business, and allowing business to also have a function on one consolidated platform which has been made much easier by Process Designer. Providing business with a nice interface to interact with various divisions. "HP SM - migration for 22.000 Users successfull done"
The turn around time for doing updates is really great, from over a year with Service Center we're now down to 6 weeks for a complete update cycle. Also the options now being delivered (we're on 9.34) and the outlook to the 9.4 version (e.g. Smart Analytics, Change Calender, Automation capabilities) are really good. Especially in conjunction with the other HP tools like ucmdB, OO, CSA and so on. One of the major issues we're still fighting with, is the E2E integration of the entire ITSM suite and the surrounding HP tools (e.g. HP OO, CSA, SA, SAM). This is a challenge due to historical reasons to be fair and HP is hardly working on the issues. So when you want to use Discovered Data in conjunction with managed data and derive action from it (e.g. discover all Wintel systems with a certain patch level, compare it to the managed state, initiate the change automatically and change the managed state after the successful automated completion). Be clear about the process borderes, e.g. commercial and technical asset management, have a clear border between change request vs. service request (first is for technical infrastructure changes, second is a customer driven request).Use the opportuntiy to revise your base data (e.g. customers, locations, sla, cause codes and so on) as this is a unique chance. Be clear about your system architecture and consider to built a kind of base data ldap and a case exchange if you have multiple provider scenarios. Solution Architectural design is critical. If this is not correct from the beginning it makes leveraging the information from the system nearly impossible. While a best practice framework is provided key details are not absent or not clear and this can create situations where organizations do not fully recognize the value of the product. HP software is enabling our IT shop to be more responsive, reduce support costs, and leverage cloud and big data technologies. Without increasing opex we have been able to improve availability, and effectively shift resources to address the most important business requests, IT pain points, and customer issues. What I like best about HP Service manager is the sheer number of tools that it combines into one ticketing system. I really enjoy how easy it is to manage multiple tickets at once, pass them off to co-workers, and change the priority of those tickets on the fly. Look, many office work-spaces and IT groups are dynamic. They're always shifting, always changing. Service Manager is able to be just as flexible as my work-space, and that's why I like it! 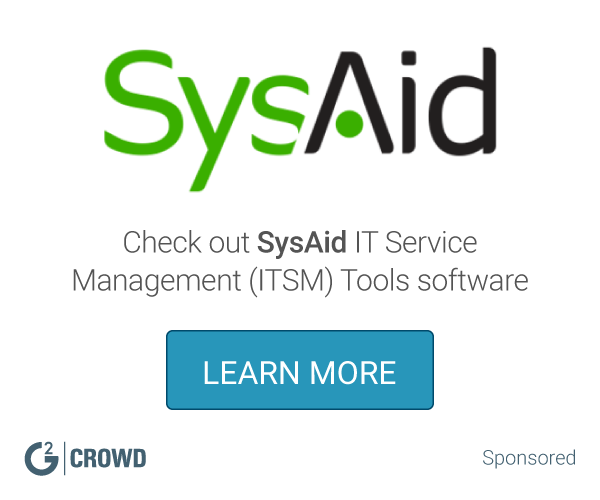 I would absolutely recommend this product to any IT group with a dynamic customer base! It is so much easier to keep up with my client's demands because of HP Service Manager. The ticket creation process is simple, and we've actually almost got it automated! The main problem that we have solved with HP SM is getting on the same page as our clients. Because of the fast updating and easy/dynamic ticket creation, we always know as soon as our client has a problem, and with the priority system, we are practically unable to let our client's needs slip through the cracks! Basically, what I'm saying is that HP SM is as alive as our company, and that's it's main benefit. "Powerful, configurable and use as much as you want of it!" Like a flower from a seed, Service Manager is easy to setup out of the box. It follows the Full ITIL processes where you can simply use "interaction" up to and including a full catalogue, problem, change and config management. Make it even more powerful by adding uCMDB and other tools! Scalability. It's just not scalable for small customers. It's very expensive to setup for SMEs as well as the database costs. Which is a shame. Ask yourself whether the overall ROI will pay off. Is your product configurable? Can it do multi-customer management properly? Are end-user advanced searches easy to use? ITIL alignment with Service Management tools. Varieties of different types of customers requirements (Incident only, Problem, Change, Request management and so on). Multi-customer ability on single platforms too - we frequently see others using their tools for individual customers. With the security that HPSM affords, we can put more than one customer on. Mature service delivery desk that maintains current, and always-evolving business processes, which are also closely linked and parallel the ITIL process's. Service Manager maintains a large family of applications within a single framework that improves the resolution time of issues, while providing a centralized request and support hierarchy where all business areas/users navigate first. The flexibility of the open system allows for ongoing continuing process improvement and therefor perpetually saving costs to the business customer. Still maintains some of the archaic base architecture in the form of outdated library coding function calls back to the days of old when ServiceCenter existed, but primarily, there is not much documentation available to assist developers and administrators in maintaining the product. The advantage of a centralized multifaceted business application such as Service Manager, allows for a much simpler availability of reporting data. A centralized database housing all change management, incident, problem and configuration data removes the headache of federating data across multiple platforms, and instead utilizes a single RDBMS. "Used the product for about 5 years at a Big Four Accounting Firm"
I felt the software had enough fields to fully describe/capture the issue that needed to be captured. It was nice to be able to have customized views. For the most part the software seemed to be fast and responsive. I wish it would have been easier to create customized views. Creating such views were a little difficult and since I have not used the product in over a year now it is a bit difficult to remember, but I do remember there was a certain view that I wanted to create which at the time would have made my job easier but I could not create it because certain fields were not available. Also I felt the search results were some times lacking and not pulling up tickets that I knew existed. Additionally, I wish we did not have to switch between incidents and the initial view (I can't remember what it was called at the moment). It would have been nice to have just 1 ticket that captured everything. Overall I feel this is good software for a medium sized to large company to use. If the software could be completely customizable than that would be the greatest benefit to any company. I was using this product from the perspective of a technician so I was not trying to solve any business problems. From a technician's perspective the software performed well. If you truly know how to use this software it can truly be a good business product. I wouldn't say i have mastered this software, but i do a lot of developing and integration using this software thanks to my schooling and work background. its a good product. As my fellow co workers would say. This software can be a little clunky at times. I feel like the user interface can be alot better. I hope to see that. For example, it won't accept the start time of a task, but also won't allow you to change it. As previously stated, the interface is not intuitive and very inflexible. There are numerous usage paths to take that lead to dead ends - where you have to contact an administrator to delete a task or configuration item just to proceed. Not probably but definitely the worst Customer Service Desk software I have encountered. The ITIL compliance and reporting might be a big draw card as well as the HP logo but that is where it ends. Administrative overhead is time consuming while the customer still waits for a simple problem to be resolved where other systems can do it in half the time if not less. The layout of the interface is terrible, although configurable, still counterproductive. Makes me wonder how crap previous versions were. My use of the HP Service was limited to opening/updating tickets as part of a job's workflow (for example should a process fail to complete normally). "Enjoying it so far, we will see"
I have liked my experience with HP so far. I like the added feature to email ticket details and give updates. Additionally, I am able to access the crystal reports and its capabilities. I am enjoying this product so far. I would like to see the ability to undo functions in the description field - that would help a lot. Something else I noticed that could be approved would be allowing us to view history within a non-infuriating way. I had a few instances, not too many, when the application crashed. Maybe that can be fixed with an update. I am working on a set of processes to handle service delivery and support quickly. Our business had been running faster, so far. I like how it's simple and works fast. I also like like accessible it is. Nothing. I haven't had any issues with the program. I work in the healthcare field right now and use it for that. "Highly flexible and robust at the same time." The product is very flexible - you have a lot of configuration and customization options and literally are open to implement and tweak the process how you think it works best. Especially when using the HP Service Manager together with other HP Products ( like uCMDB, or BSM ) you can make use of a strong portfolio. In my opinion the debug options can be improved - as a large time of developing is consumed with finding the proper place where to adjust coding. With the new Process Designer this area has been largely improved though. If you are looking for a product with offers a broad feature set out of the box, and at the same time allows you to highly configure and customize its process - then HP Service Manager should be a good option for you. We are using the HP Service Manager for example for the Incident-, and Change Management process implementation and by that support or enable all the services who are depending on those processes. "Trainer of SM for 19 years. Subject Matter Expert"
33 year old code with overlapping tools. Service Anywhere is the answer. Service Anywhere is the answer. If you have not looked at it in the last year, you need to see this product. It easily competes head-to-head with all those in the Magic Quadrant. Most companies are in fire-fighting mode. Moving them to proactive or optimization are huge benefits. HPSM Service Manager is a single app for managing Interactions, Incidents, Problems, and Changes. It allows me to easily manage any end-users issues and requests in a single interface. The biggest dislike is system performance although that could be an issue on my organization infrastructure. Also, we are not utilizing all the functions available, again, that is on our organizations end but I think cost is a facto. All user issues and requests are managed in Service Manager. It allows us to see trends by running reports on these items. 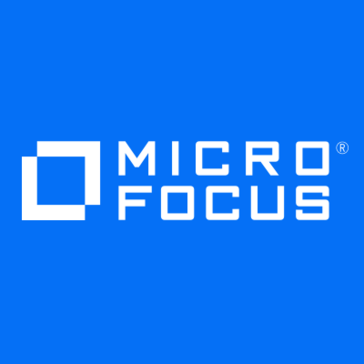 "MicroFocust Service Support Manager - Review"
Configuration cost: It's little expensive. Strongly recommend - Easy to use as well as there is a lot of functionalities. Also, you can customize the way you like. Email ticket creation is helped us greatly in tracking the status of issues and bring them to closure. "HPSM: A Work in Progress"
Being able to use templates to log tickets for known issue is invaluable. Also that there are F key shortcuts for a lot of things so you can bind those buttons to your mouse to make HPSM use more efficient. HPSM, at least for our company, freezes a considerable amount throughout the day. When escalating a ticket or closing a ticket it takes a good chunk of time. Also there are a lot of fields that you do have to fill out for each ticket which makes the whole process more cumbersome than it should have to be. Explore all of your options and don't make a quick decision. This tool allows us to track all of the work that we do and solev technical issues in a timely and fashionable manner. I liked that there were so many tools in one ticket system and has a great and accessible interface. I'm not sure what would happen if the service just stopped working, and I feel like if there is an issue it would be hard to back bounce from. It helps to clean up and make certain tasks easier, as well as improving performance significantly. "Features and Functions for all occasions"
The HTM5 interface brings a nice clean look not seen in other products and the full features make sure all requirements can be met with the relevant customisation. The product can seem a little slow due to the sheer amount of data being churned. Incident, problem and change are the key areas that we provide but lately we have added CMDB integration with SM data being federated back to the CMDB browser. "Hp service manager has gotten better"
Hp Service manager has put in a lot into a single working app. although i did have issues with indexing. reports and to record trends. its a great tool for I.T profersionals and as one of the leading ones theyve done a good job at fixing issues with the software. I like how I can seemlessly provide support with this tool. I am able to locate previous and past information on older tickets to assist me with helping others. A Slight Dislike I have is we do see some system slowness/timing out. our main use for HPSM is to have a place for people to send us tickets to request access. it also allows us to create tickets in between our different departments and find information quickly. Love it! Everything is so easy to find. I can keep up with clients and help find solutions for them! Its an awesome asset to have. Makes my life easier and I also keep my customers happy! Its a win win situation. System times out/ laggy. Approvals may not always create a task for us to complete. "Experienced in SM starting from data management, training and process management"
if you want to customize,upgrades are lengthy. Approval for software/hardware requests from stakeholders have been so much easier. "Hp Service Manager Experience "
"Solid product but has room for improvement"
Workflows are extermely useful. The linking of parent/child tickets is easy. Queues do not auto refresh. In my organization we work direectly from HPSM queues and need to constantly refresh in order to see new work. We are handling day to day customer issues . Easy to follow, easy to teach to the other employees. troubleshooting when learning how to navigate through the set up. * We monitor all Micro Focus Service Management Automation (SMAX) reviews to prevent fraudulent reviews and keep review quality high. We do not post reviews by company employees or direct competitors. Validated reviews require the user to submit a screenshot of the product containing their user ID, in order to verify a user is an actual user of the product. Hi there! Are you looking to implement a solution like Micro Focus Service Management Automation (SMAX)?